Hi. Let me tell you a little about myself. I’m a life-long Duluthian and co-Broker and owner of Edmunds Company LLP, along with my partner and brother, Michael Edmunds. I’ve been a real estate agent since 1969, and a Broker since 1975, so I have developed considerable real estate experience during this 40 year period. Invaluable experience. And as a native Duluthian, I know and understand our area well. Prior to 1975 when I became a Real Estate Broker, I was an English teacher in the Duluth school system. And I also taught school in Taipei, Taiwan. My years of teaching taught me how to work with buyers and with sellers in what can seem to be a maze of complexity. I believe that I have helped to simplify this process over the years for my clients. In addition to the residential real estate sales, I have been co-developer of several commercial developments in Duluth such as an office complex, several senior apartment complexes, large scale leasing, and land subdivision. 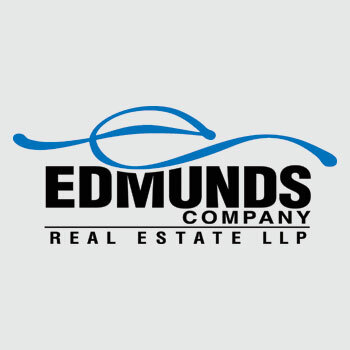 I am part of an incredible team of real estate professionals here at Edmunds Company LLP. I am confident that any agent you may choose at our company will assist you with your real estate needs in the most professional manner. RHP – Retirement Housing Professional from the American Association of Homes and Services of Aging. Van Gorden Fund in association with the Miller Dwan Foundation.